Killer's DNA Won't Explain His Crime : Shots - Health News Sandy Hook and other mass killings have left people wondering how someone could engage in such behavior. 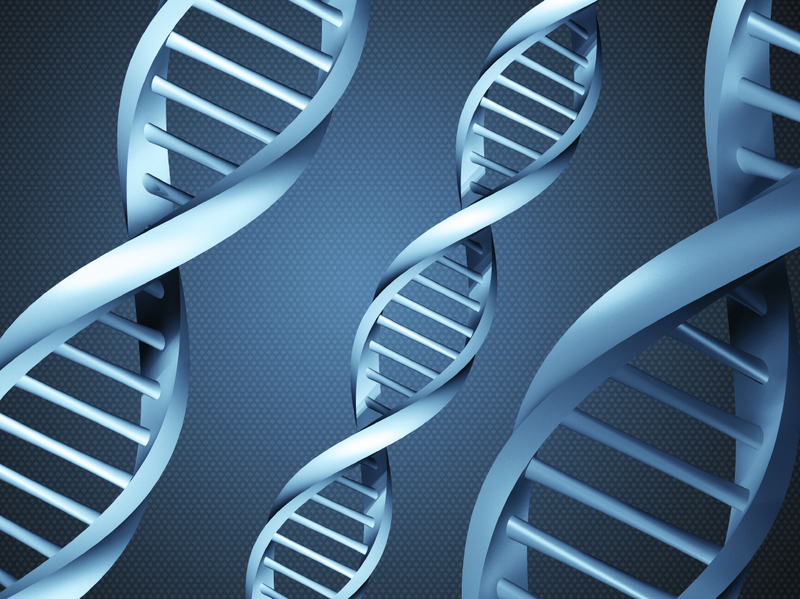 Scientists say that genes can indeed predispose a person to mental illness or violence. But genetic variants alone can't explain why someone commits mass murder. A person's DNA can say a lot about a person, but not why someone has committed a horrific crime like mass murder. Connecticut's chief medical examiner, Wayne Carver, has raised the possibility of requesting genetic tests on Adam Lanza, the man responsible for the shootings at Sandy Hook Elementary School. Carver hasn't said precisely what he may want geneticists to look for, but scientists who study the links between genes and violence say those tests won't reveal much about why Lanza did what he did. Ellen Wright Clayton, a specialist in law and genetics at Vanderbilt University, says there aren't many possibilities. "The only thing they can be looking for here is to see whether the killer had certain genetic variants that may predispose to mental illness or to violence," she says. Scientists have spent decades studying these genetic variants. But can a person's genes reveal why they commit mass murder? "Absolutely not," Clayton says. "Genetic variants do not explain criminal behavior." The strongest genetic link to aggressive behavior involves a gene known as MAOA. About a decade ago, Clayton says, researchers studied children with a particular variation in this gene. "What they showed there was that kids who had the adverse genotype and who were also exposed to severe child abuse were more likely to have bad behavior as adults," she explains. Other studies have confirmed that the gene variant by itself isn't a good predictor of violence. It only makes a real difference in people who carry the gene and were abused as children. And of course the vast majority of people with the variant don't commit violent crimes. Despite these caveats, evidence involving MAOA has been used in court. Some lawyers have argued that violent offenders who carry the gene should be held less responsible for their actions. But the reaction of the courts has been mixed. "In some cases they have accepted it to mitigate penalties," Clayton says. "But in many cases they've decided that it's not pertinent for that purpose." Other scientists say they also don't expect much from any genetic analysis of Lanza. "It's not likely that they'll get any definitive answer. What they may get are some clues," says criminologist Adrian Raine, who studies antisocial behavior at the University of Pennsylvania. Raine agrees with Clayton that one of those clues could involve the MAOA gene variant. But there's a hitch when it comes to Lanza. MAOA is associated with abnormalities in the brain that can result in so-called impulsive aggression — when a person throws a punch or pulls a gun in the heat of the moment. "People who are impulsive and reactively aggressive have lower functioning in the very frontal region of the brain," Raine says. "In contrast those who plan and regulate their aggressive behavior, they do not have that specific brain abnormality." That means MAOA isn't so good at explaining a premeditated mass murder. Genetic analysis also can suggest whether a person is predisposed to developing depression, bipolar disorder, schizophrenia or autism, Raine says. But just having certain genes doesn't mean a person is destined to get any of these disorders. So any definitive diagnosis will require other types of information. "Those clues will be more readily obtained from teachers, friends, relatives. That will certainly yield more information than genetic material," Raine says. One reason researchers don't know more about genes and mass murder is that this sort of crime makes up only a tiny fraction of all homicides. "We are looking at very rare behaviors. And from a scientific point of view we really don't study them in any systematic way," says Kevin Beaver, a criminologist at Florida State University. Nonetheless, Beaver says he understands why people are desperately searching for answers after an event like the shootings at Sandy Hook Elementary. "We want explanations. We want to understand why someone did this," he says. "But from a scientific standpoint, I don't think we would ever know why someone would engage in this type of horrific, violent behavior that's aimed at very young children." That's not surprising. Researchers still haven't definitively explained what led to mass killings in Aurora, Blacksburg, or Columbine.